Can I Sell my Broken or Damaged Cell Phone? 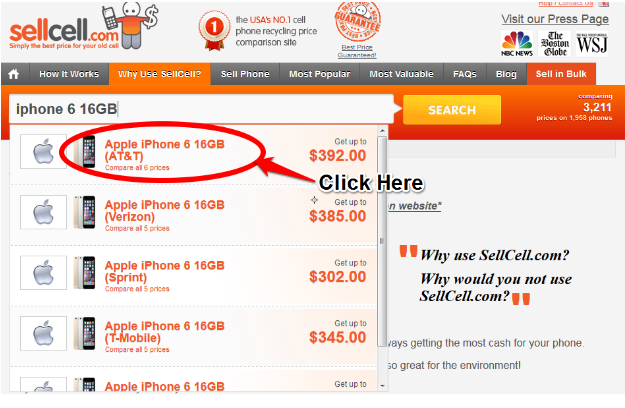 The simple answer to this question is yes, you can sell a broken or damaged cell phone through the SellCell.com service. 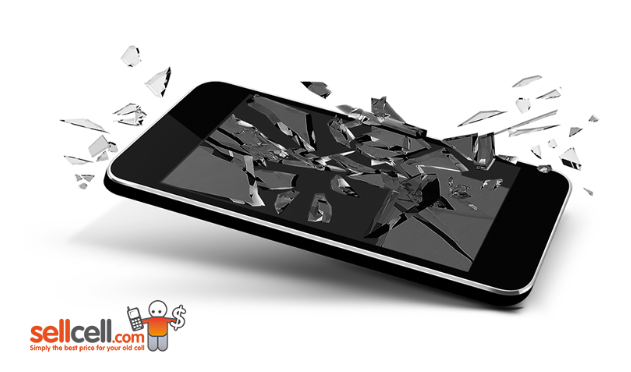 It doesn’t matter if you have drop kicked it into oblivion and smashed the screen, or been a bit too heavy handed and broken a power button, we still offer top prices for your gadget. Unfortunately, most people with a beat-up device chuck it to the back of a drawer never to see the light of day again. This is purely down to the fact that they believe the device is worthless, but think again people of America! That shattered and damaged device could replenish your bank account, pay off some unexpected bills or even give you the opportunity to treat yourself to something you have wanted for a while but haven’t been able to afford. 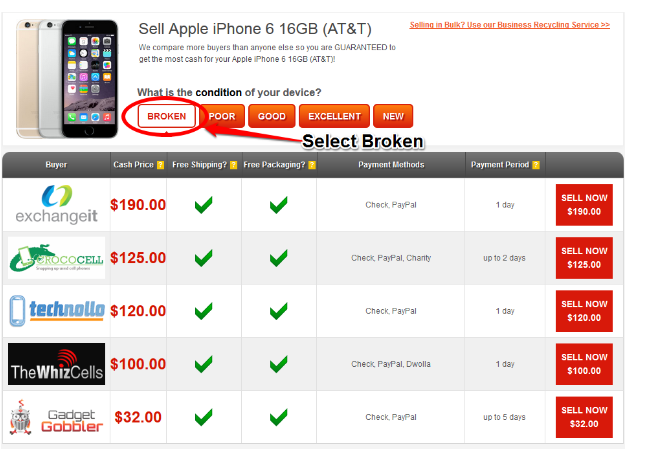 Do You Offer Broken Phone Prices? They sure do! The majority of companies in our comparison will provide a broken price for you, and you will be quite surprised by the amount of money some of these buyers are offering for your broken cell. As SellCell is a comparison, the buyers are battling for your custom so you will be guaranteed a much higher price than going directly to a buyer’s website. This in turn means you get more money back for your broken cell phone. You can check full details on our best price guarantee here. What is Classed as a Broken Phone? Fully Functional Phone Screen/LCD/Digitiser are Cracked or Faulty. No WiFi, bad ear speaker or no external sound. Thanks to Travis from TheWhizCells.com for providing some information in the above table. How do I Sell a Broken Cell Phone? By now you have all the information you need to start the trade-in process, so we are going to help you through each step of the process. Heck, we’ll even include some images, because we are kind like that. For the purpose of this post we will be selling an iPhone 6 16GB on the AT&T network. Step 1) Type into the search box at the top of this page, your phone’s make and model. This will then automatically bring back a dropdown list of iPhone 6’s. Look for the one that matches your carrier, as this is the phone you will need to click. You will then be taken across to the comparison page. Step 2) When you are on the comparison page you will need to set the condition to ‘Broken’, you can do this by clicking the Broken button under the ‘What is the condition of your device? ‘ heading. This will now filter all the results for you so the broken prices are presented to you. 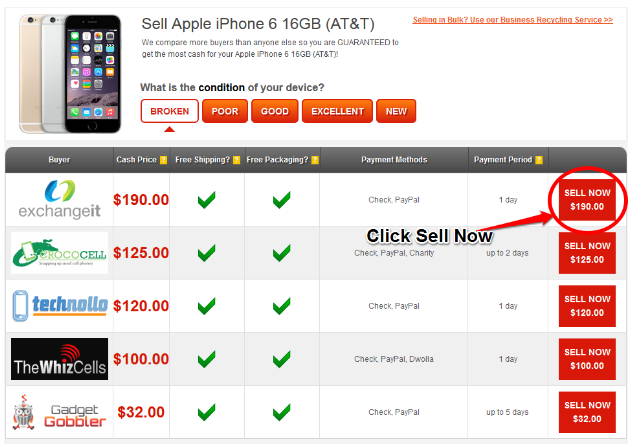 Step 3) The final step is to click the ‘Sell Now’ button on the far right of the table, this is directly opposite the buyer that you have chosen to trade in your broken cell phone with. This will then direct you to the buyers website where you will need to input a few more details to complete your order. There you go guys and girls! A couple of ways that you can get cash back for your broken cell phones. So go ahead and start collecting up your phones and see how much money you can make off something that you thought was worthless. Enjoy.